Are you planning to bring your family along with you to TBEX? Whether you’re a family travel blogger or you’re just taking advantage of an opportunity to explore our host city before or after the conference, here’s some information that you’ll need to know to help you decide how to best situate your family. Spouses and partners are welcome at TBEX. They can be registered at the blogger rate and attend sessions and events. Bring them along and let them see what you do. At evening parties and other events, all registered attendees, including children, may attend unless the venue prohibits it. Alcohol is served at many of the events, and legal requirements for access vary by destination. The laws and regulations of the host destination and specific venue will apply. The only non-registered participants permitted at TBEX parties are infants with a registered parent/guardian, and again, subject to the laws and regulations of the host. Children must be supervised at all times. We do not offer an on-site babysitting service at the conference location. If you need child care you will need to make personal arrangements. There are strict laws and regulations about providing child care and they vary based on the destination. Our hosts in Toronto provided us with links to Christopher Robin Babysitting Service and the Toronto listings on Help We’ve Got Kids, and offer these as a starting point for your research. You can also check with your hotel’s guest services desk or concierge, as they often have a list of hotel-approved babysitters. Strollers are not permitted in the speed dating and open marketplace sessions. 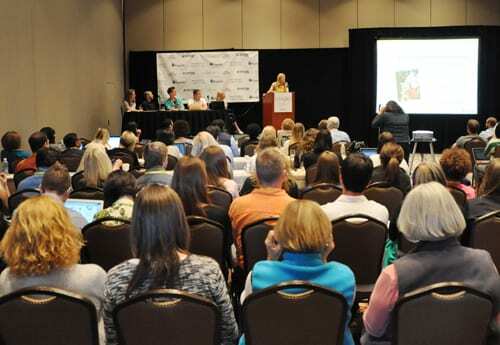 If this is your first time attending a TBEX event and you would like to talk to other parents for more tips or advice on attending the conference with your children/family, use the #TBEX Twitter hashtag. Many of our attendees are parents and can give you insider guidance.